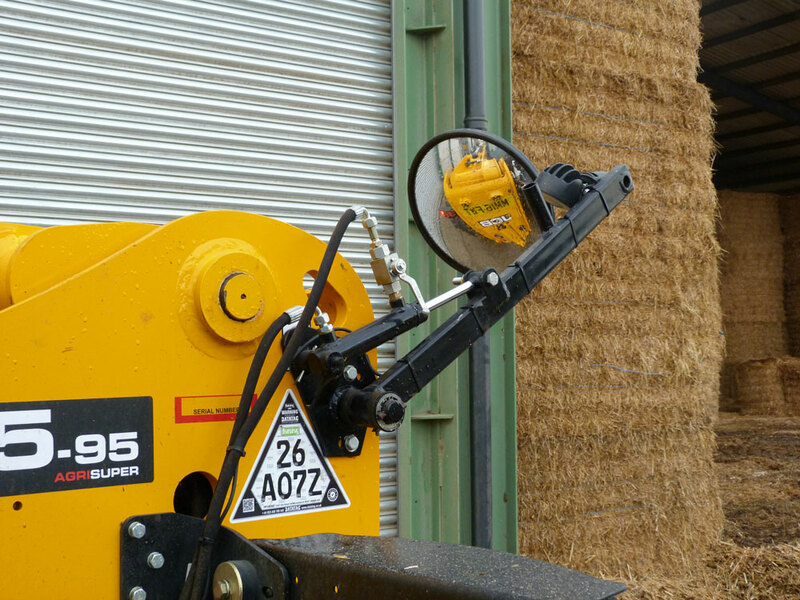 No more smashed mirrors from accidental reversing into shed walls! 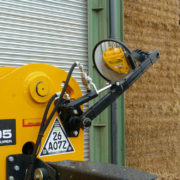 The Heath Folding Mirror Kit is a unique hydraulic fold-up mirror for use on telehandlers with pick-up hitches. It is linked into the pick-up hitch hydraulics of the vehicle to enable operation from within the cab.